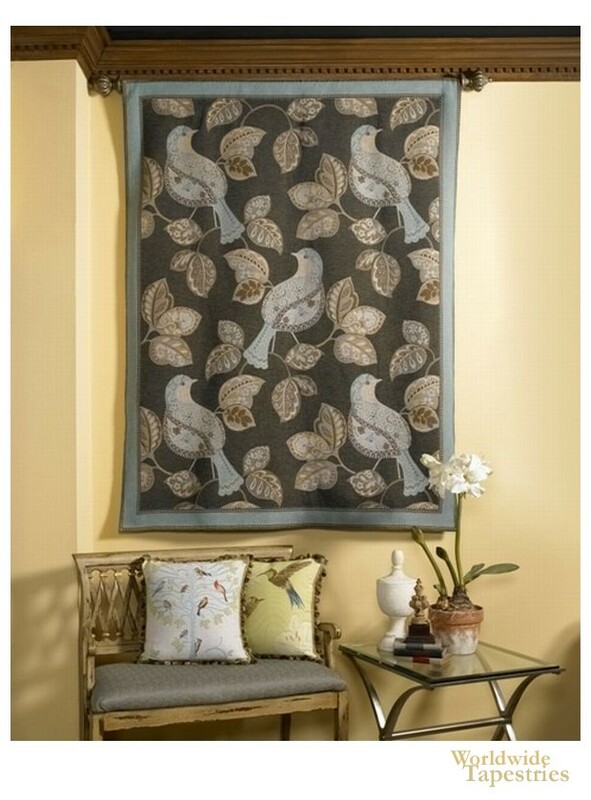 This decorative art tapestry "Bird Silhouette" shows a whimsical design of birds and leaves. Created out of charming birds in blues and browns, these colors are echoed in the leaves, on a dark background to show off the main subjects to great effect. With a modern feel, and inspired by country living, this wall tapestry is full of elegance and charm. This art tapestry "Bird Silhouette" is backed with a lining and has a rod pocket for easy hanging. Note: tapestry rod, where pictured, are not included in the price.